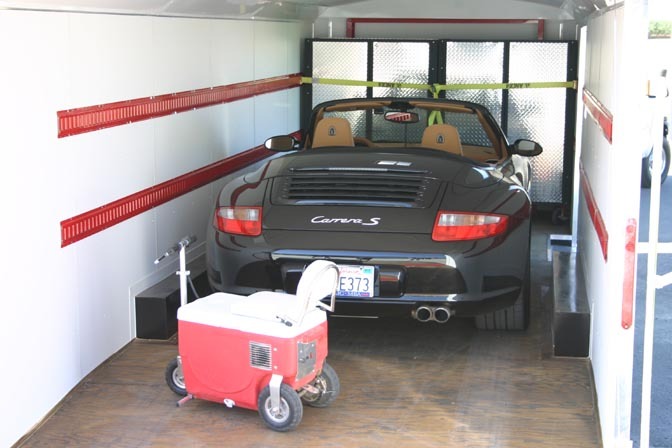 Our Complete mobile garage systems include everything you need to get started with your own NASCAR style touring system. The Following systems are designed with storage and mobility in mind. Starter Touring System (Trailer, 2 cabinets, Trailer Conversion, Securing systems). * Use of 4 cabinets limits trailer car storage capacity to 20''. **Use of 6 cabinets limits trailer car storage capacity to 18'l.